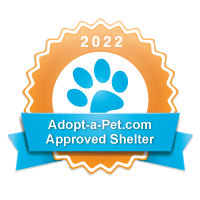 We EDUCATE those looking for a new pet on important lifestyle matches to ensure for-life placements. We ADVOCATE for saving every life by dedicating our time to major medical and behavioral cases, because all lives deserve a chance. We INSPIRE others to think past stereotypes and misinformation about shelter dogs and breed labels. Dublin is a super loving mellow 7 year old guy who wants nothing more than some toys and his people! He loves to get out and about, but is just as happy to lounge on the couch too! Get Involved! We are a foster-based organization and rely entirely on volunteers and foster homes to continue saving lives! Our volunteers help us staff events, foster rescue animals, provide transportation and more. Please consider joining our team today and find out how you can help!